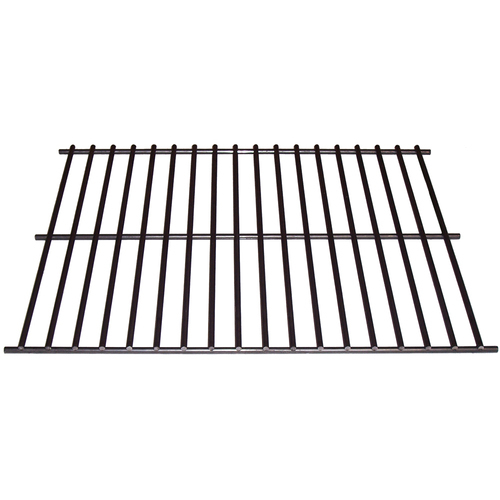 Rock Grates are rectangular steel racks place above the burner designed to hold a layer of lava rock or ceramic briquettes. 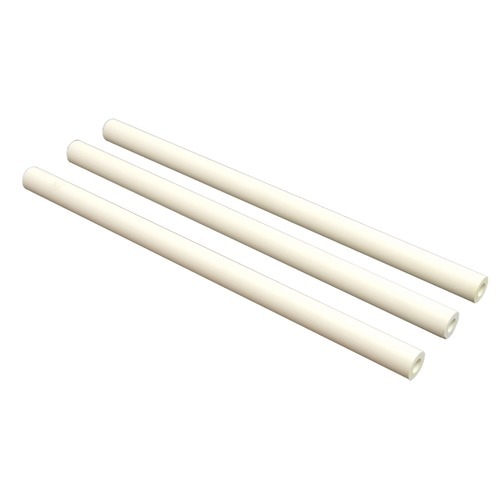 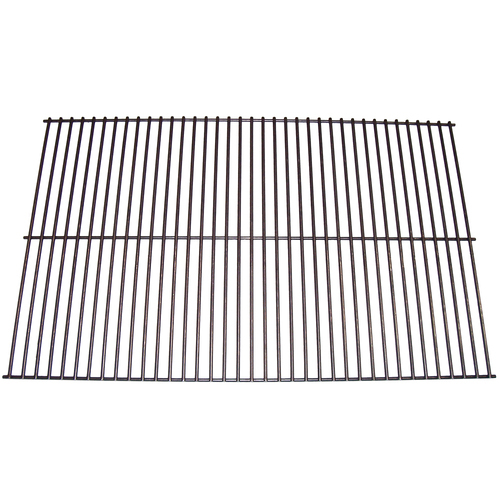 Having the purpose of protecting the burner from drippings which can accelerate the deterioration of the burner, spreading the heat more evenly throughout the grill to ensure even flame disbursement, and vaporizing food drippings to give barbecue flavoring. 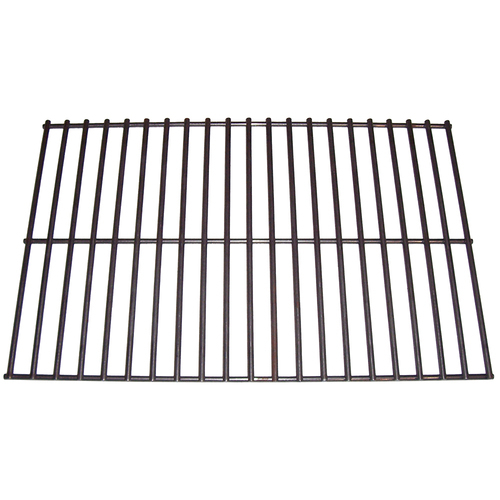 Because they do not hold food, rock grates do not need to be protected from rust like cooking grids. 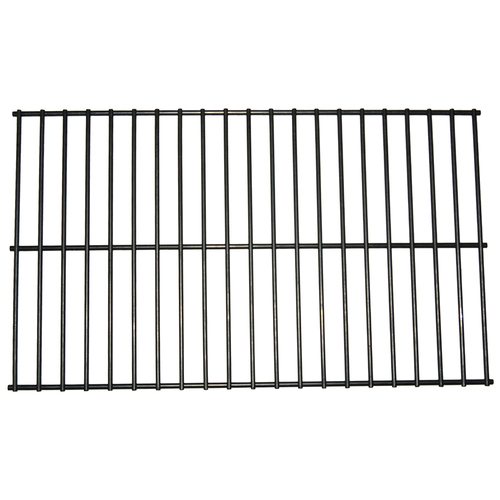 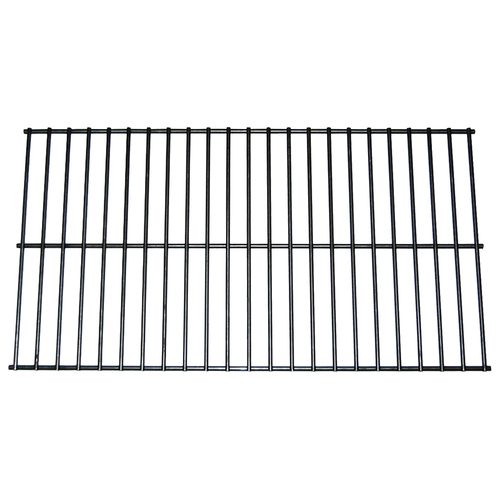 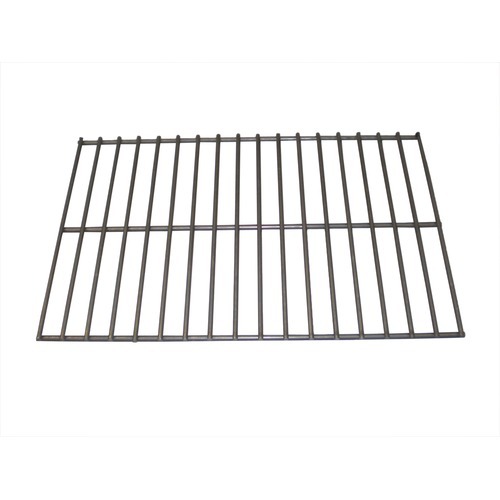 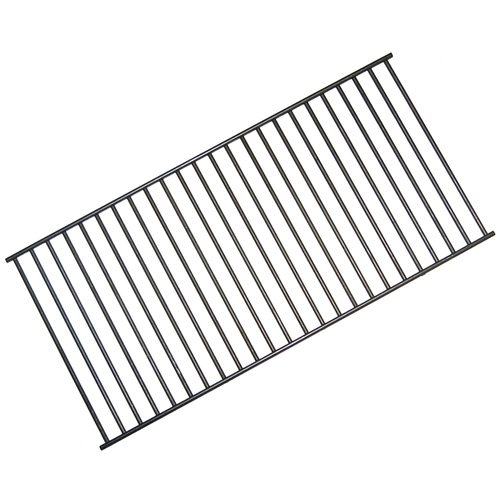 Typically constructed of carbon steel and one of the least expensive replacement parts for a grill, a rock grate is useful until it rusts completely through and no longer holds rock. 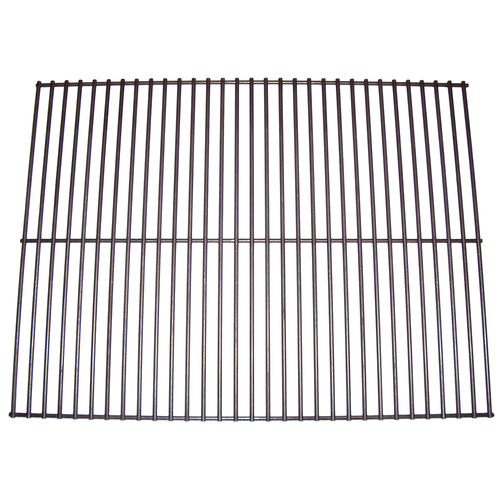 Radiants are designed to minimize flare ups and extend the life of your grill by channeling grease and drippings away from the burners. 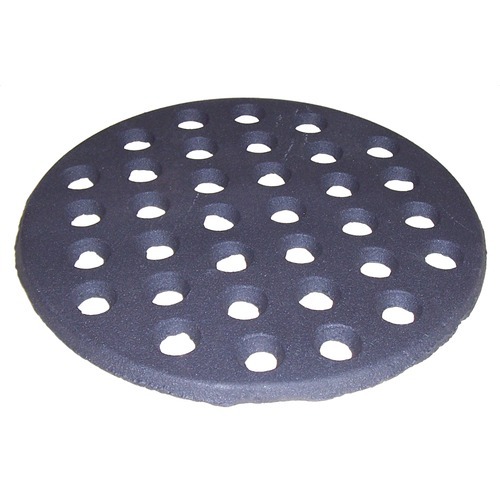 These plates concentrate the heat more than lava rock or briquettes, therefore requiring lower control settings. 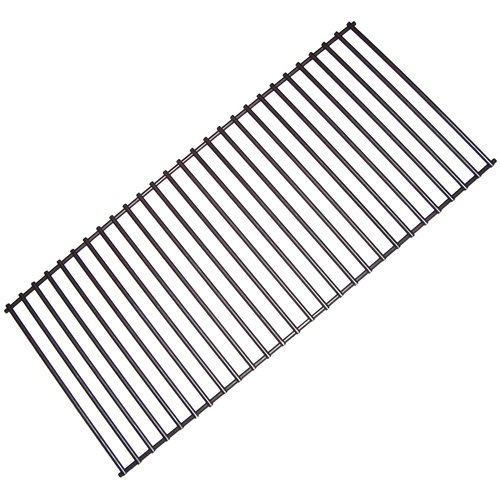 With holes or slots that are configured to allow heat to rise evenly through the plate as it radiates warmth to the cooking surface above. 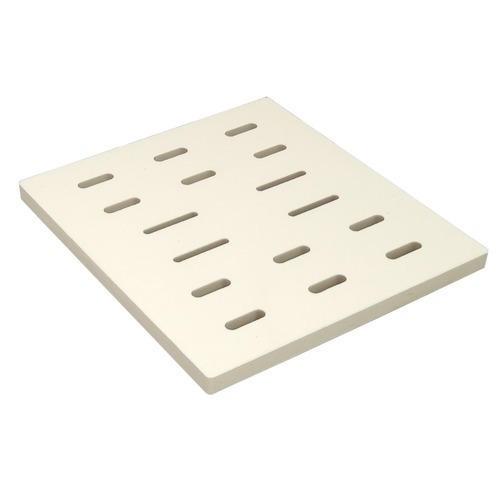 Food drippings are burnt and vaporized as they contact the hot plate.